We like to consider our Private Lessons one of the most efficient ways to improve your Kiteboarding skills. To achieve this goal we use either radio communication to be in contact with our student at all time or the support of a Jet Ski for the instructor to be next to you at all time for assistance and explenation. This way we secure that you get most progress during your lesson time. We provide the latest equipment from Core Kiteboarding for all our lessons to set the hights possible level of safety and comfort for your lesson. 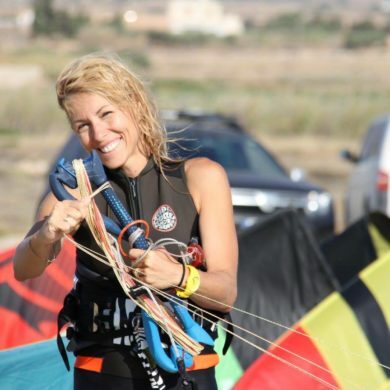 Private Lessons are offered for all levels of Kiteboarding skills. 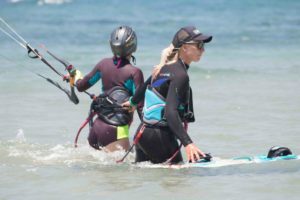 If you are a total beginner and want to achieve your goal to become a Kiteboarder in the fastest way possible or if you want to take your Kiteboarding skills to the next level. This lessons give you the most practice on the water and will always focus on your individual needs and requests. Training – intensive tailormade lessons at your pace. You set the pace and progress until you reach your goals. Waterstart –when you go into deep water, our instructor will communicate with you by VHF systems to secure the highest progress possible. 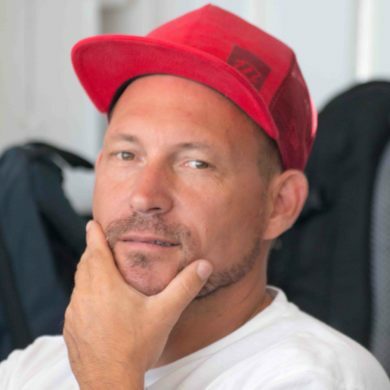 Knowledge -all knowledge about equipment, environment, weather and kiteboarding is taught in detail. Let us know if something is not clear. Safety – all our lessons are done with the IKO standards to keep safety at the highest possible level. 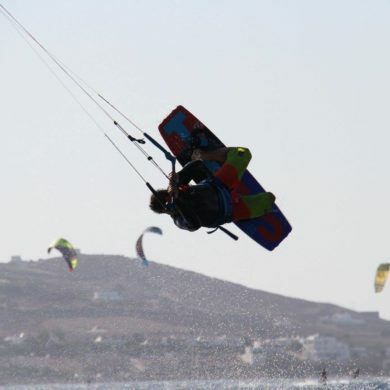 Paros Kite Pro Center is a licensed business & permitted kiteboarding center. Due to high volume, we encourage you to book your lessons online right now to warranty your lesson availability. One Student per Instructor ratio! One Student per Instructor ratio! Jetski supported! 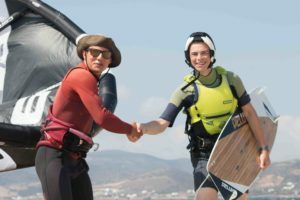 With over 17 years of experience in this cool sport, we offer high quality Kiteboarding lessons and rentals as well as alternative watersports like Scuba Diving, Wakeboarding, Waterski, Wake-surf, Fly boarding and Tubing. Stay with us!